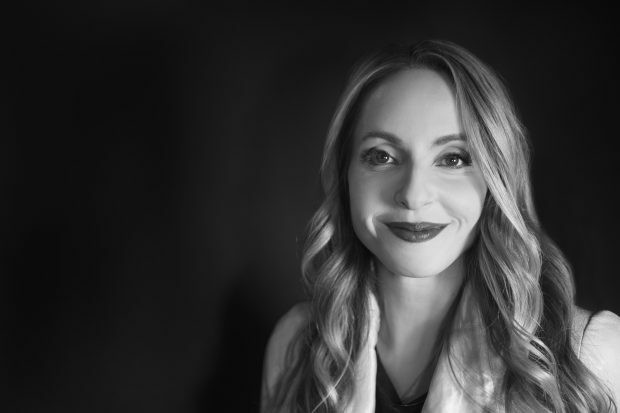 Gabby Bernstein is an internationally acclaimed motivational speaker, best-selling author and life coach with a fierce enthusiasm for her work. She’s also a certified Kundalini yoga teacher, a certified teacher of meditation, and a longtime student of Transcendental Meditation. You might call her a “spiritual person”, and she would heartily agree with you. “It means you are stepping back and clearing that channel you believe in. When I am most inspired, a true channel for inspiration, is when I am publicly speaking. That is my art,” Bernstein says. If you’ve never tried meditation or can’t bear to sit still for even a minute, Bernstein explains that meditation is simply a way to remove the blocks and help keep that channel flowing smoothly—so you can continue to receive inspiration. (There’s a reason we call it “writer’s block” or a “creative block”.) 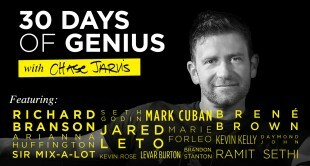 Watch her full, hour-long interview over on 30 Days of Genius for much more. Bernstein believes that meditation, or any spiritual practice, has benefits for everyone, including creative entrepreneurs. She even attributes her happiness and health in life to a decade of daily meditation practice. Going down a spiritual path, of your choosing, is essentially what Bernstein sees as a technique for unlearning the fear and chaos which complicate and congest our mind and get in the way of our creative forces. “You clear the space to receive. True inspiration can come in that ‘step back and receive’. Being able to step away from the crazy and be receptive is what allows the creative process to unfold,” Bernstein explains. Serious commitment is necessary if you desire to completely reorganize your life. If you want to truly “reframe and establish a new way of being, a new energy, a new belief system, a new consciousness, and a new purpose—we’ve got to stay committed to reorganizing all the stories that we chose to believe in the first place,” Bernstein explains. Consistent meditation (even just 10 minutes a day) brings about what experts call ‘mindfulness’ or ‘mind strength’, which can lead to more positive results in your work and personal life. Practiced by plenty of successful artists and entrepreneurs, consistent meditation has the ability to prep your mind for reaching deeper and accessing that still and quiet where your creativity lies. In fact, some of the world’s largest corporations, including Google, Apple and Nike, encourage employees to meditate with free on-site classes. For some creatives, the creative process is already a spiritual practice, something that is done on a regular basis, something that requires serious commitment. Like meditation or other spiritual practices, the creative process also allows you to be fully present and aware, or “in the zone” as some may call it. Bernstein is well aware of the doubt that creatives often feel, and having some kind of spiritual practice in your life is something that could help bring you closer to erasing that hesitation. Even if you aren’t sure how meditation could work for you, you’ll never know until you try. No harm in having an extra tool in your artist’s tool box. 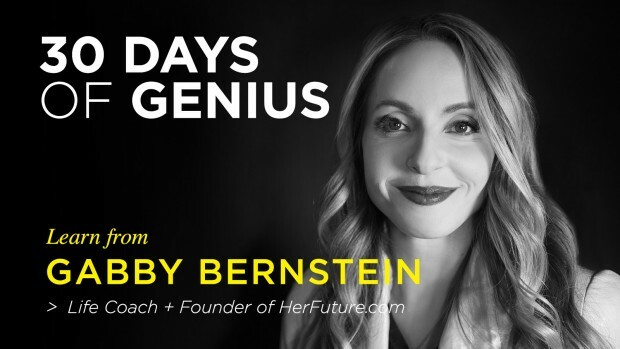 Watch the full, hour-long interview with Gabby Bernstein, over on 30 Days of Genius.